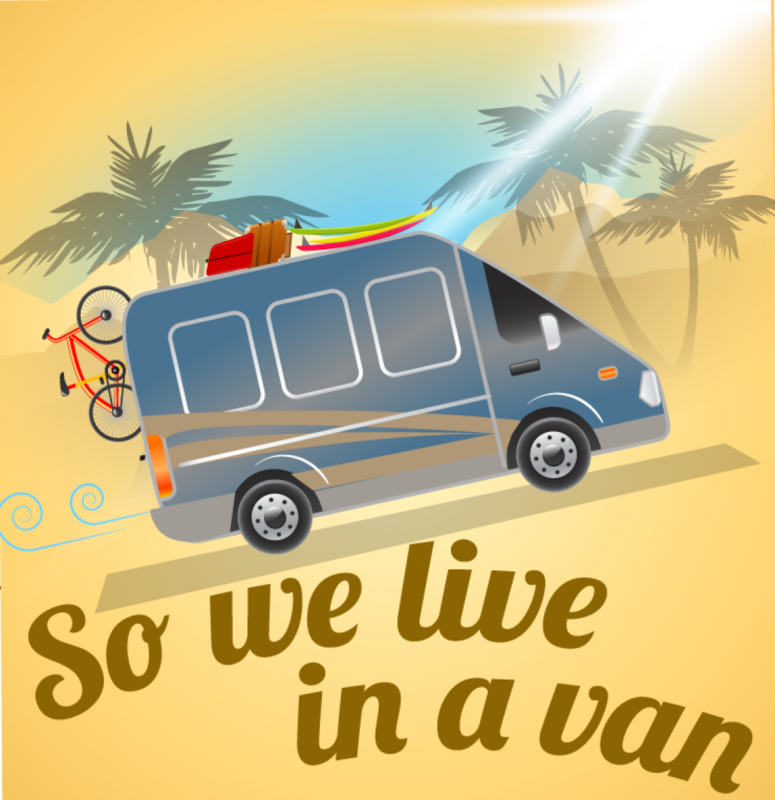 So to counterbalance the last post of 7 Reasons I love living in a van, here are 5 less-than-ideal things about van life we won’t miss when it’s over. This may seem obvious, but the bathroom situation is definitely the crappiest part of living in a van. The morning is actually worse. The beach public restrooms don’t open until 7:30am, which if you are going to sleep by 9pm is not early. And in this desperate state the sound of waves crashing is no longer helping anyone stay calm. Not only do we have to wait till the bathrooms open, but first have to trek down a considerable hill to get there, passing all the retired seniors in dress slacks walking their dogs, as well as all the hot LA moms with fancy joggers and activewear. So you can see why a nightgown isn’t really up to HOA code. So instead of just groggily trudging to the bathroom with one eye open, we first have to prepare ourselves for the public. Sweatpants it is. No matter how full your bladder (or your hopes), showing up early and looking longingly at the janitorial crew does nothing. Every morning we face off. I stare at them like a trained dog as they sweep and sweep and sweep all the way until 7:30am on the dot. No exceptions. Once finally inside it’s dark, smelly and scary. But after several months you stop hovering over the lid like a princess and you just sit down. 1. Because you’re the first one to go after the “cleaning” crew leaves and 2. you’re a bum and your bum is no better than any other. If the bathroom situation is more of a number two circumstance, you’re S.O.L. We do not get enough vegetables. We eat a lot of peanut butter and honey sandwiches, bean burritos and tacos, but keeping up on our serving of vegetables is near a fruitless endeavor. Although we do eat fruit. 3. Lack of outlets and wifi. It’s crazy, but we need wifi more desperately than a shower. I’m sure that could be argued, but that’s how it feels. Typically we bum off the library or Starbucks, but sometimes you just want to chain wiki search right from home without stressing about data overage fees. Even worse, we never have power outlets to charge our phones and laptops, so most mornings we are running on empty. We have one of those emergency power adapters for when the van is turned on, but it’s pretty obvious there’s someone living inside when a van is running, but no one is in the driver’s seat. 4. Hitting heads and stepping on toes. Truly I hit my head getting in and out of bed every single day. It’s like that puddle scene in Groundhog Day. Luckily I can stand up straight in the van, but the ceiling makes its slope just above my side of the bed, and I never gauge it accurately. If we both have somewhere to be, it’s a tight fit getting ready at the same time. So one has to get ready for bed before the other can. If we try to go simultaneously, we want to kill each other. Sometimes close quarters don’t make you closer. There’s no such thing as showing up with a “Honey I’m home” when your home is never in the same spot. If you don’t have the van, you have to call up the person who does, hoping their phone hasn’t died yet, ask for their 20, enter the address into your phone’s GPS (also hoping your phone isn’t dying), and finally meet up. Every day is a coordinated effort. The best is when the person with the van can just say “meet me at the spot” which means I’m home sweet home on the beach. So other than no bathrooms, wifi, power, health or personal space– living in a van is a dream. SOLO cups and JIF- we will definitely welcome your sponsorship. The morning pee is the worst. If I was responsible for coordinating JIF and SOLO sponsorships, I’d make sure you were the top of our list. No question about it. My name is Mikaele I live in a van call me at 18087825076.